Another Cozy Series In The Works! I have been dragging my feet writing the first book in my new cozy series that I am developing. I tried to figure out what my problem was. I anguished over the fact that I was stuck until I realized the problem was me. I love Hermiony Vidalia Criony Fiddlestadt and her cast of characters in the Fuchsia Minnesota Series. I am familiar with their quirks, I hurt when they hurt, and I am scared when they are scared. I am deeply entwined with their lives and the community of Fuchsia Minnesota. This series will live on but while I am writing book five in the Fuchsia Series I felt the need to start something new. I decided my new series had to take place in one of the fictional towns that is mentioned in my Fuchsia Series. The first chapter came easily and then…..and then…..I halted. It is hard starting a new series with new characters and new problems. My new series could not follow the path of the other series. I wasn’t yet invested in the characters or the community. I had a plan and I mapped the formula for my mystery in my mind. But these characters and the town of Brilliant, yes Brilliant, were foreign to me no matter how much I plotted and planned. Usually I start writing without the basics drawn out and mapped on pen and paper and I let my writing and my imagination take me away without second thought. This time I found my mind always reverting back to Fuchsia and at one point I called my new character Jezabelle – Granny. I became frustrated with myself. I am now up to chapter fourteen and I am loving my characters finally coming to life. I am falling in love with my new characters and chuckling at their antics. Creating the community of Brilliant also is bringing new life to me. When I dream of the Intelligent Icicle Factory, The Creamy Cow, The Brilliant Bistro and other businesses my characters are frequenting along with the Catniption Barkley Clinic, I hope the characters are leading the way to a wacky mystery. Oh, and my mystery does have a connection to Fuchsia. The name is up in the air. 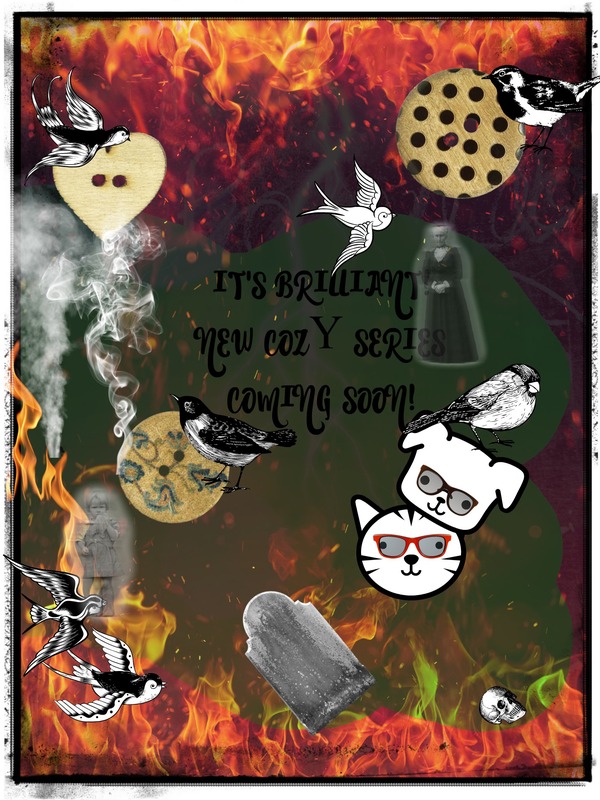 I am sure the Brilliant Series will have brilliant name as soon as my characters decide what it will be. Stay tuned. Previous I Don’t Want To Be Famous!